We have become very aware lately in our home by how much Americans over consume sodium. A family member took on a low sodium diet this year due to some health concerns. Being the main chef for the household I’ve quickly become aware of labels and the amount of salt I add to recipes. I was excited, and skeptical, to hear lemons could be used as a delicious salt alternative. I picked up some Sunkist lemons grown locally here in Arizona. 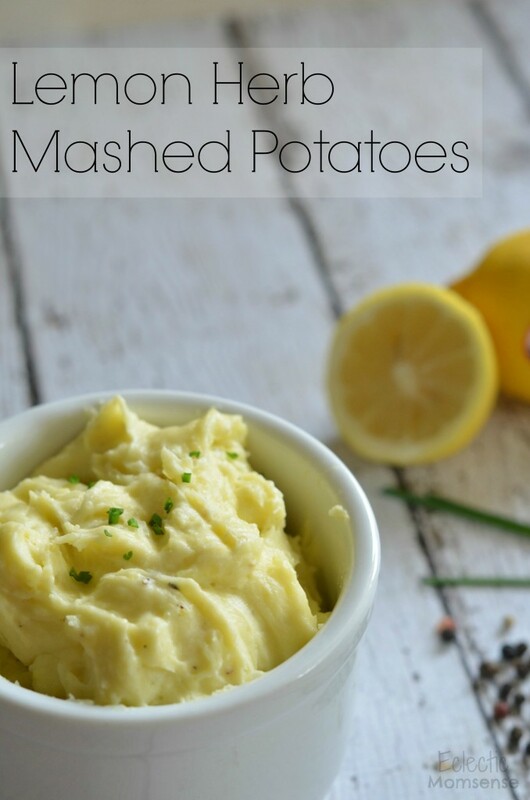 They helped boost the flavor of our favorite mashed potato recipe while reducing our sodium intake. Everyone in the house was able to enjoy this classic without added salt. A definite win all around. 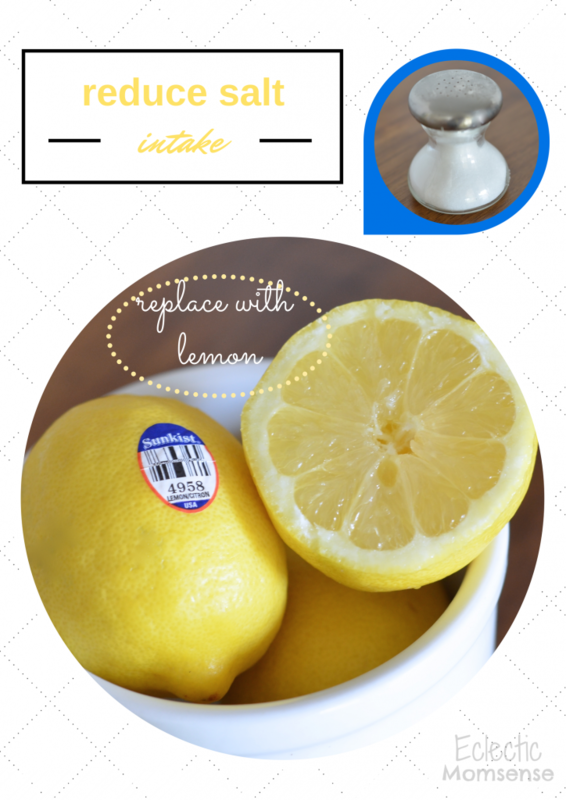 I can’t wait to explore other ways to incorporate lemons into recipes. 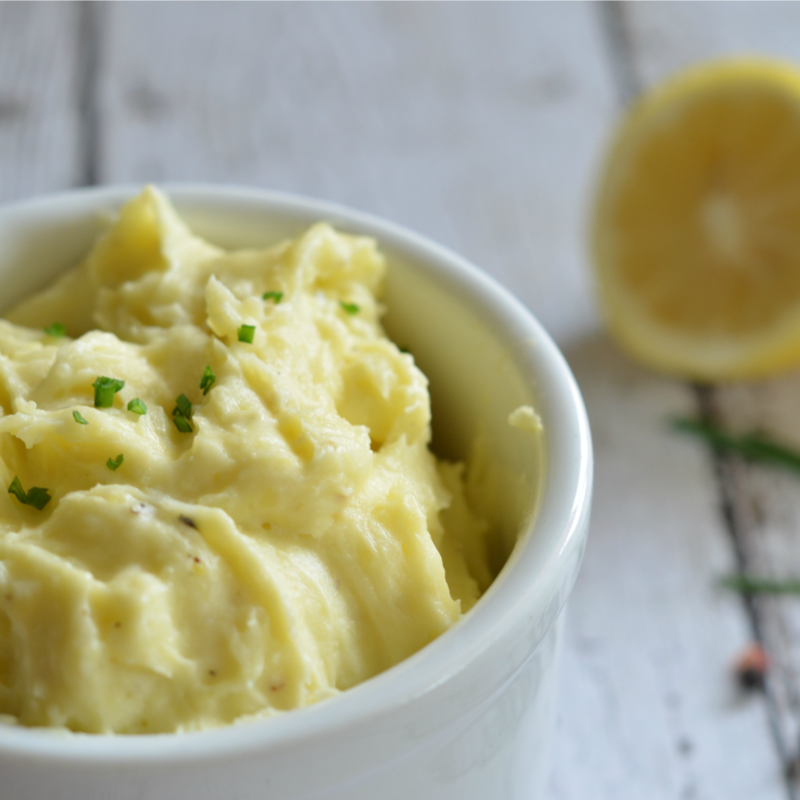 Herbed, salt-free mashed potatoes with a tangy kick. 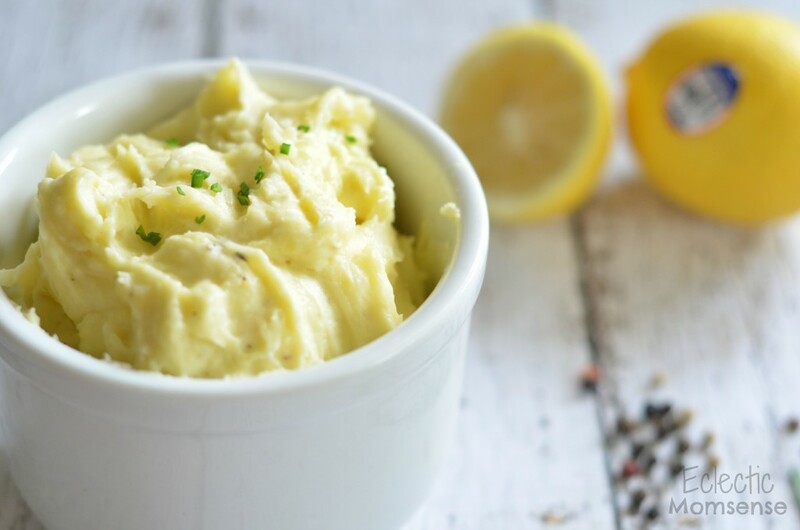 Place peeled potatoes in saucepan covered with water and 1 tsp lemon. Bring water to a boil, cover, and simmer until tender. 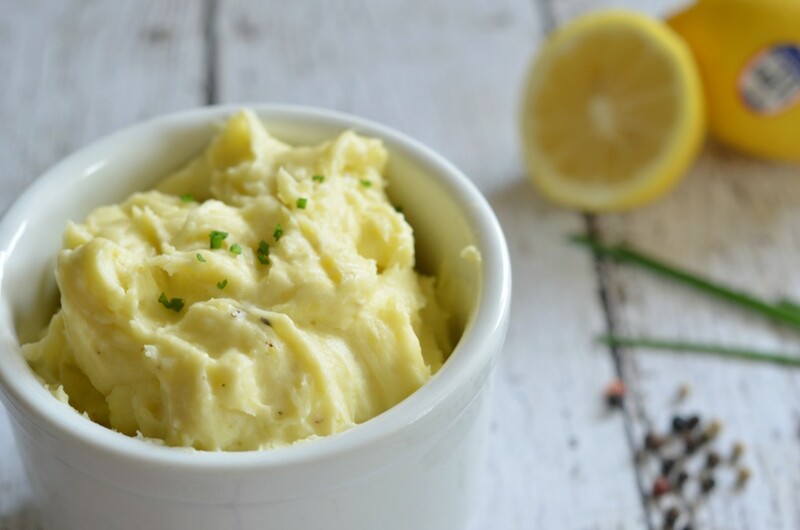 Push potatoes through a potato ricer or food mill into pan. Add milk and remaining ingredients minus chives. Mix until butter is melted and everything incorporated. Top with chopped fresh chives. Lemon juice is a nice salt substitute. Replace ½ the salt with fresh squeezed lemon juice. 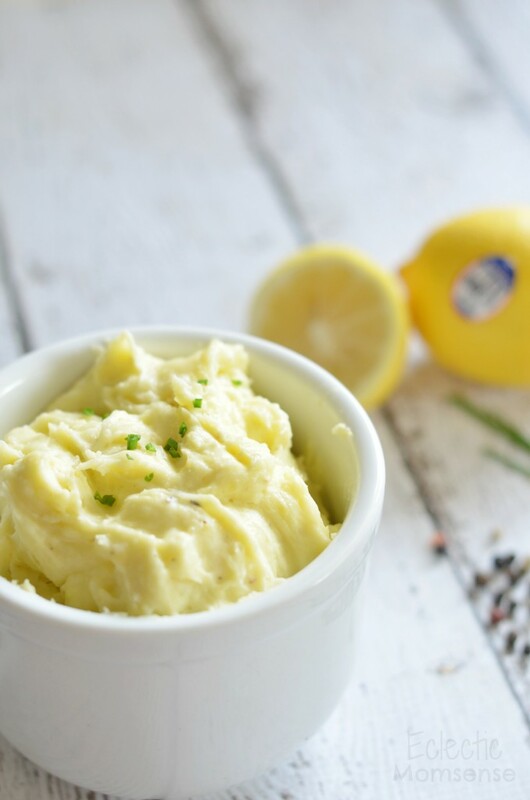 Delicious Lemon Herb Mashed Potatoes, yum! Pin for later!